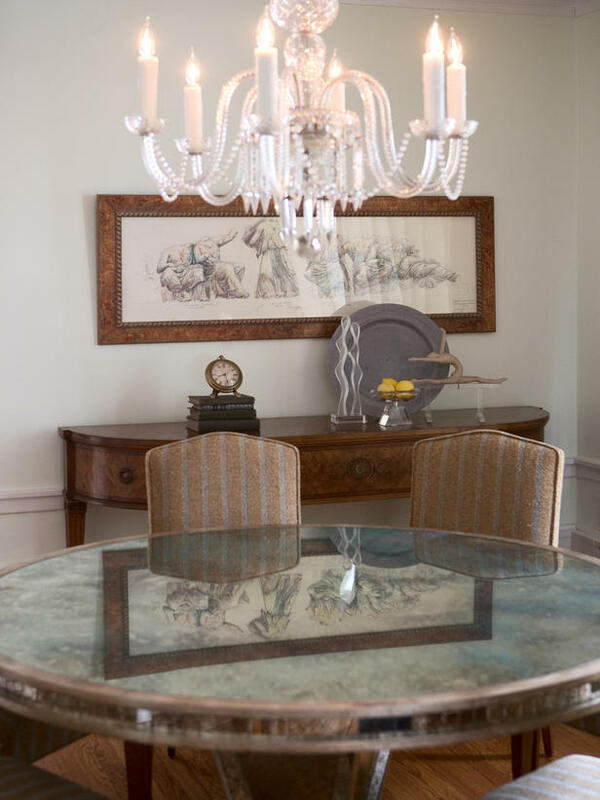 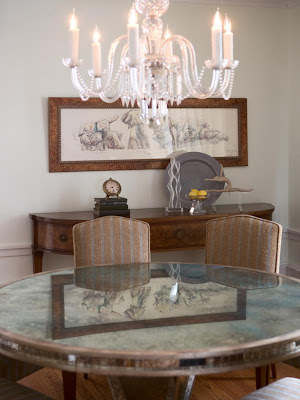 This mirrored dining table catches the light of the chandelier above, which adds an extra sparkle to the room. 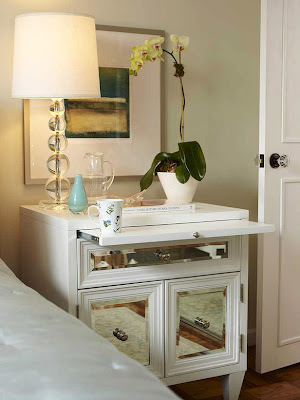 The mirror panels on this nightstand reflect the colors of the rug, carrying the color scheme throughout the room. 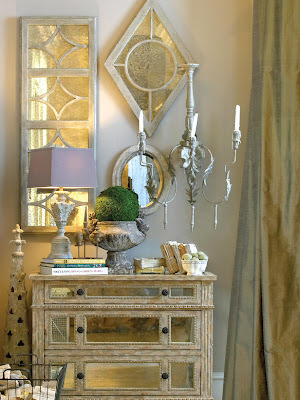 Mirrored furniture dusted with the color gold creates an elegant, regal look in any room. 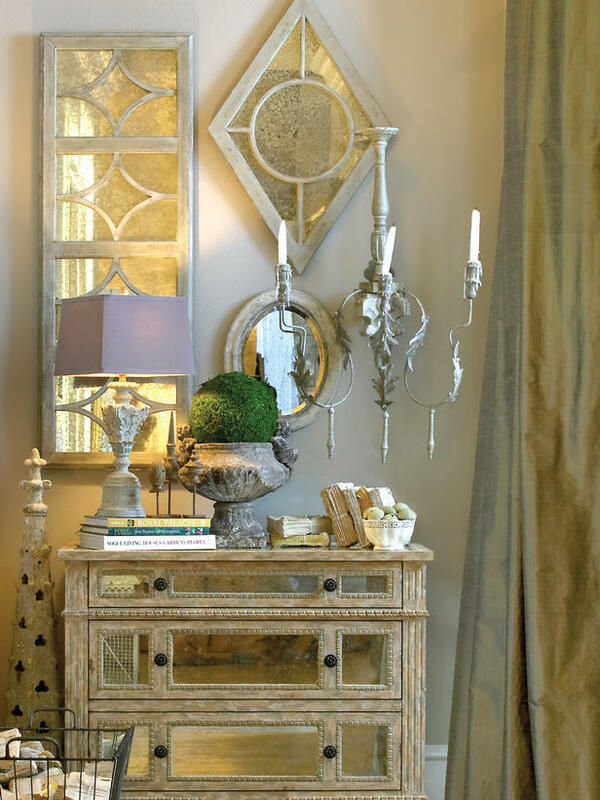 The rows of tiny mirrors reflect the light at different angles to create an abstract look. Adding mirrored furniture to a small space, like Designer Erinn Valencich did here, creates the illusion of a bigger room. 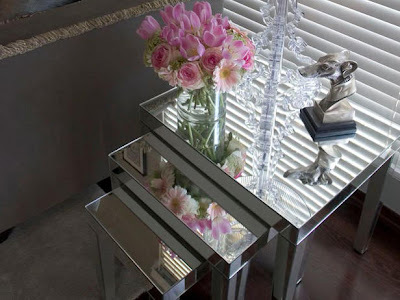 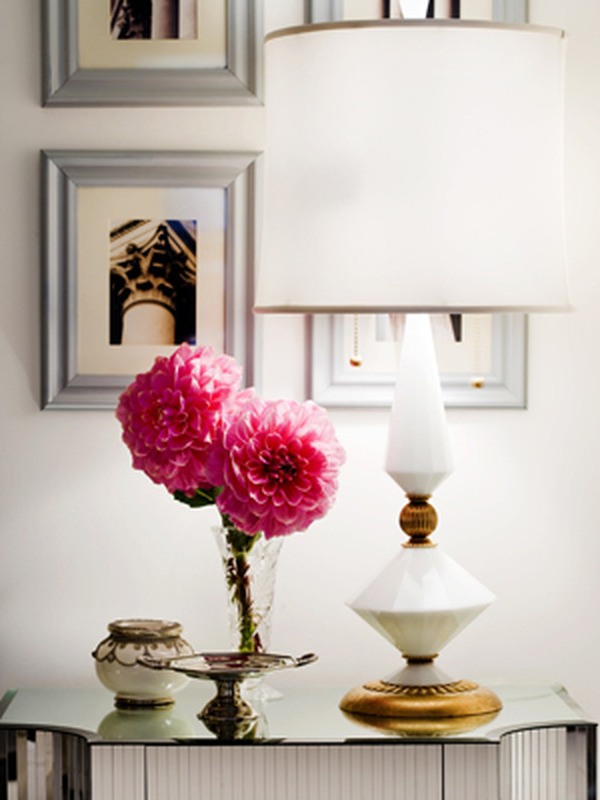 The mirrored tables accentuate the accessories and create a perfect backdrop for them. 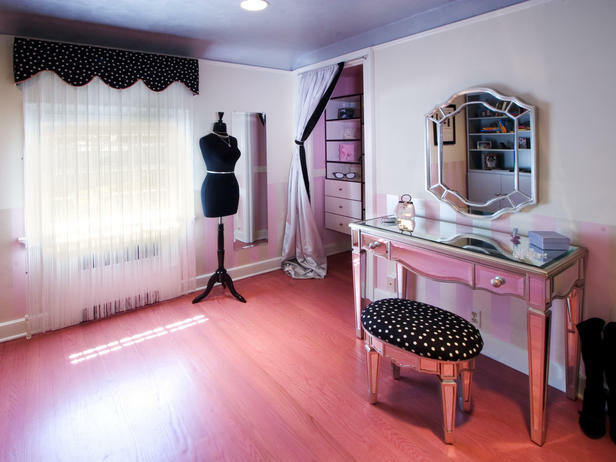 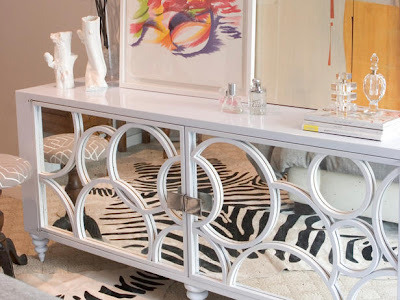 This mirrored vanity adds a touch of glamour and youth to this fun girl's bedroom. 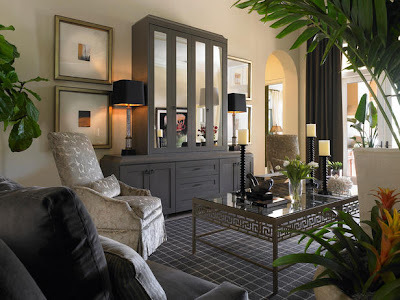 The tall mirrors on the entertainment center, custom designed by Troy Beasley, open up the living room space.